Alright, so riding on the coattails of how to Grow Your Own Scoby, I wanted to follow-up on how to actually brew Kombucha. I noticed that she forgot to say how much sugar to put in your tea. The standard is 1 cup of sugar to 1 gallon of sweetened tea. I also add Chia seeds (an Aztec superfood) to mine, since I happen to have them in my house, and they are high in Omega-3s. Seriously people, this stuff is super easy to make! 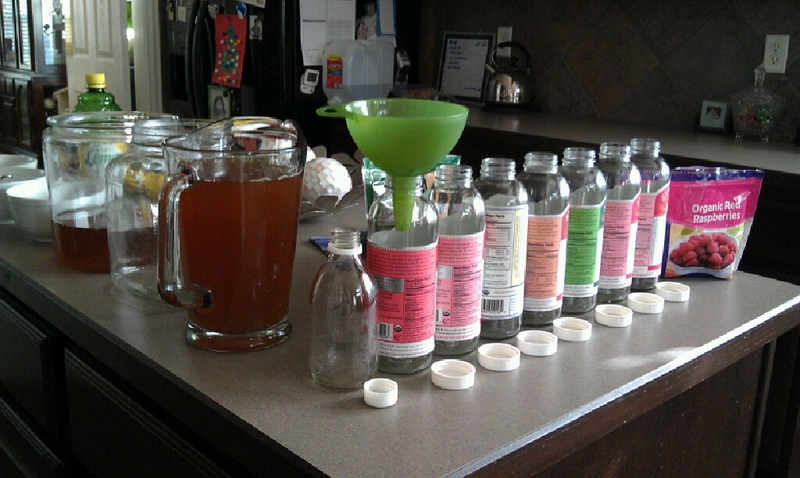 This is what my typical ‘booch bottling session looks like. I just use old GTs bottles or whatever glass bottles I have lying around. As for flavoring, I usually get a bag of frozen, organic mixed berries, and do each berry by themselves or a combination of them. I also do the lemonade with 1 tsp. of organic sucanat, and 1 tsp. fresh lemon juice. You can add fruit to it if you like or leave it by itself. Get creative with flavors and try fresh ginger or cinnamon, if you want to change it up. 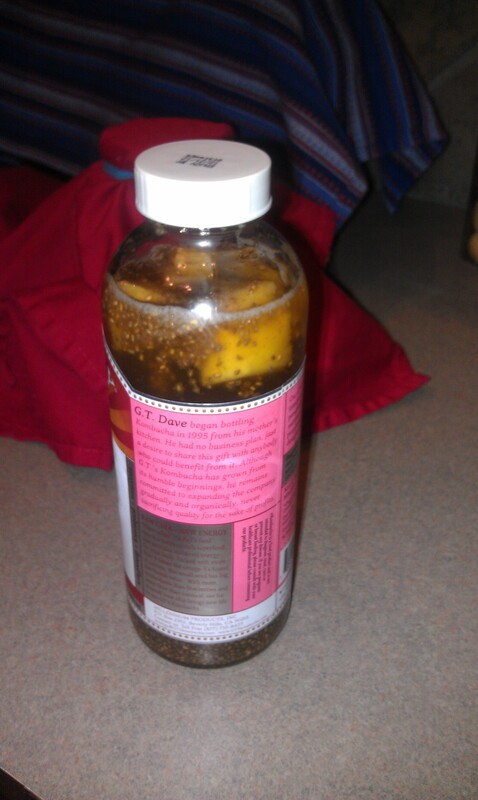 Josh actually liked the pineapple-flavored bottle I made one time…it’s HUGE since he can’t stand the stuff! Once again, if yours isn’t turning out like you hoped, you can buy a culture online from places like Kombucha Kamp, which is the #1 source for all things Kombucha! For Q&As on if your Scoby is not growing, check out Food Renegade’s post to diagnose any problems. 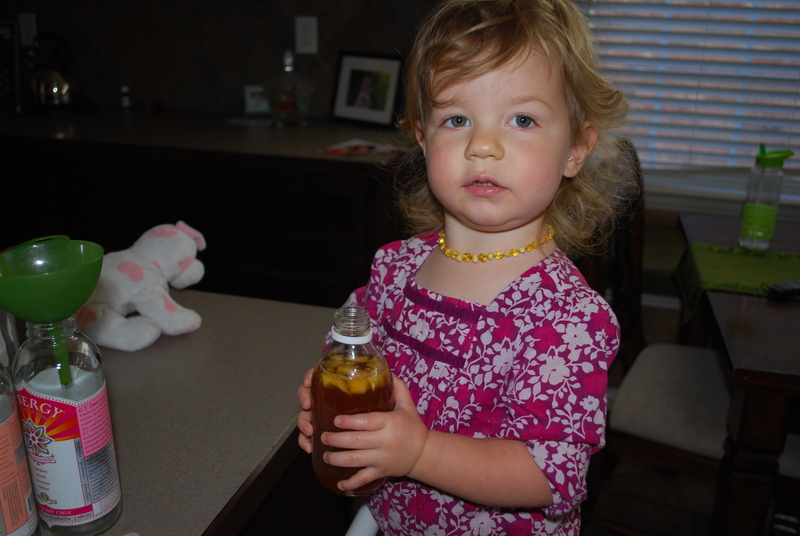 Check out this post, if you’re pregnant or nursing, and read her suggestions on whether or not to drink it. Personally, I would because I’m used to it, but wouldn’t advise it if you’re brand new. When you start to become overloaded with too many Scobies, and can’t give them away fast enough, you can create a Scoby hotel, to house them and use as you need. Making my own Kombucha has been a lot of fun for me, and I love how much cheaper it is than paying $3.50 a bottle in some places. Even if you’re not interested in making your own, go out and buy you a bottle (I got started on GT’s Raspberry Chia). It couldn’t hurt to get some extra probiotics into your belly, especially if you take antibiotics. For the benefits on drinking 4-8 oz. 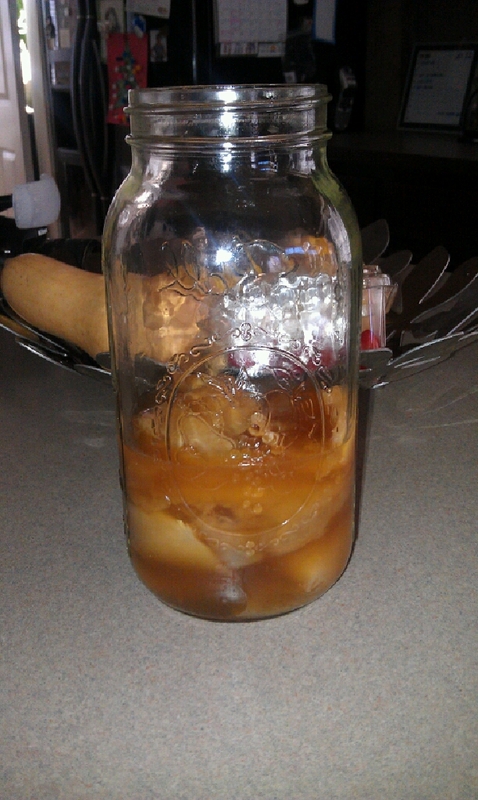 of Kombucha daily, check out this link. Whatcha think? Have you ever heard of this fermented drink or do you have any interest in trying it? While my hubby may not be on board (yet), it can be fun for the whole family to make, especially if they want to pick their own flavors. Go on and try it, I think you’ll really like it! I would have filtered out the slimy yeast chunks through a strainer or cheese cloth before filling the bottles. You can use them for making sourdough starter, feed it to your plants, your chickens, make kombucha face cream, etc….there are lots of recipes on the internet for the yeast growth. Oh, that’s a good idea! I need to find a recipe for that face cream.